Home / News / BREAKING: Customs Impounds 13 Vehicles Belonging To Senator! BREAKING: Customs Impounds 13 Vehicles Belonging To Senator! 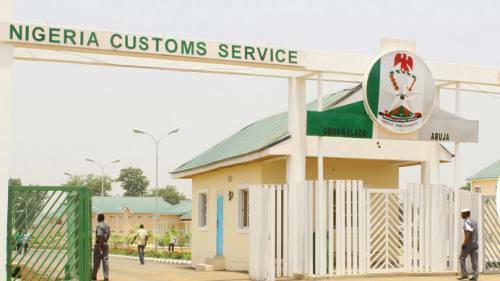 (NAN) The Comptroller-General of Customs, Compliance Task Force, says it has impounded 223 vehicles, 13 of which belong to a senator in Kano State. The task force also said it seized other items, including foodstuff worth N269.5m in Kano and Jigawa states within eight months. The Task Force Zonal Commander, Mr. Bala Dole, made this known in an interview with the News Agency of Nigeria in Kano on today (Monday). He said the vehicles belonging to the said senator were 12 new Toyota Hilux and one Land Cruiser Jeep. Dole, who declined to name the said senator, said the 13 vehicles were trailed from Maigatari in Jigawa, following an intelligence report. “Based on the intelligence report, the vehicles were 30 in number, but we were able to trail 13 of them, 12 of which were hidden in the senator’s compound. “We sealed the house and retrieved the vehicles and they are now in our custody,” Dole said. He said the other items the task force confiscated during special operations include 9,757 bags of rice, 2,916 cartons of foreign spaghetti, 2,770 cartons of imported vegetable oil and 999 cartons of macaroni. He said others were 889 bales of second hand clothes, 50 used school bags, 110 cartons of new imported shoes, 956 bags of mosquito coil and six fairly used cars. “The total value of the seizure made by the task force since it was established in July 2016, excluding the senator’s 13 vehicles, is N269.5m. “We are yet to determine the cost of the 13 vehicles belonging to the senator,” he said.